Allu Arjun is an Indian actor who acts in Tollywood films. He has been one of the most successful Tollywood actors and has done many blockbuster films in his career. Allu Arjun has definitely proved his mark in the Telegu film industry with some of the totally amazing films like Aarya, Aarya 2, Vedam and many more. He has been a versatile actor and has shown his potential by playing many challenging roles. Let’s check out some of the best Allu Arjun movies. Race Gurram is a Telegu language comedy action film directed by Surender Reddy. The film features Shruti Haasan and Allu Arjun in the lead roles. The film revolves around a guy named Lucky who was quite well off. His life takes a turn when he crosses path with the dangerous politician and later, decides to destroy him with his brother. The film went on to be a real success at the box office and was totally loved by the cinema fans. Arya 2 is an Indian Telegu action drama film directed by Sukumar and produced by Aditya Babu which was released in the year2009. The film features Allu Arjun, Navdeep and Kajal Aggarwal in the lead roles. The movie revolves around two friends Ajay(Navdeep) and Arya(Allu Arjun) who were friends from the childhood. The movie portrays how their lives changed afterwards as one turns out to be a rich businessman and the other turns to a ‘bad guy’. The movie also highlights the love triangle between Ajay, Arya and Geetha. The film went out to be a real commercial success and was a blockbuster in Kerala. The movie received a great response from both audiences and the critics. S/O Satyamurthy is a Telegu language drama film directed by Trivikram Srinivas which was released in the year 2015. The film features Allu Arjun, Upendra, Samantha Ruth Prabhu, Sneha, Adah Sharma, Nithya Menen, Rajendra Prasad and Brahmanandam in the pivotal roles. The film revolves around a guy named Anand, whose father is a rich businessman. After the death of his father, Anand goes through a lot of struggle in saving his father’s wealth and faces many difficulties. The worldwide gross of the film was 87 crores. Rudhramadevi is an Indian Telegu epic historical film directed and produced by Gunasekhar which was released in the year 2015. The film features Anushka Shetty as Rudrama Devi. 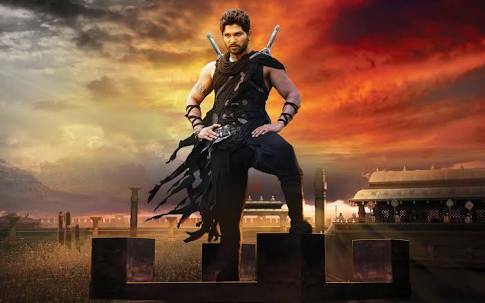 The movie is based on Rudrama Devi who was one of the well-known rulers from the Kakatiya dynasty in the Deccan. She was one of the few ruling queens from our Indian history. She was the daughter of King Ganapathi Devudu who raised his daughter like a boy fearing that the people won’t accept a female as their ruler. The film went on to be a commercial hit and received a great response from the audiences and the critics. Arya is a Tollywood film directed by Sukumar which features Allu Arjun, Siva Balaji and Anu Mehta in the lead role. The film involves elements of comedy, romance and action and was totally loved by the cinema fans. The film turned out to be a box office success and is also one of the most important and successful films in the career of Allu Arjun. The Tollywood film directed by Radhakrishna Jagarlamudi won many accolades and was one of the most successful films of all time in the Tollywood industry. The film went on to be a commercial success and was totally loved by the audiences and the critics. The film received a lot of appreciation and the on-screen presence of Allu Arjun and Anushka Shetty is definitely worth watching. Julayi is a Tollywood film directed by Trivikram Srinivas which features the Bollywood star Ileana D’ Cruz, Allu Arjun and Rajendra Prasad in the lead roles. The film went on to be a real success at the box office and made huge collections. The film includes elements of thrill, comedy, drama and romance and was totally loved by the cinema fans. The film was complete with a good story and amazing on-screen presence of the characters. Happy is a Tollywood film directed by A. Karunakaran. The film features Allu Arjun, Genelia D’Souza and Manoj Bajpayee in the major roles. The film involves elements of comedy, action and a lot of drama. The film is totally worth watching and you will definitely love the on-screen presence of Allu Arjun. The film also received great reviews from the audiences and the critics and was totally successful at the box office. Iddarammayilatho is a Telegu film directed by Puri Jagannadh which features stars like Allu Arjun, Catherine Tresa, Shawar Ali and Amala Paul in the pivotal roles. The film went on to be a complete success at the box office and was totally loved by the fans. The film is one of the best films in the career of Allu Arjun and involves elements of drama, thrill, romance and action.